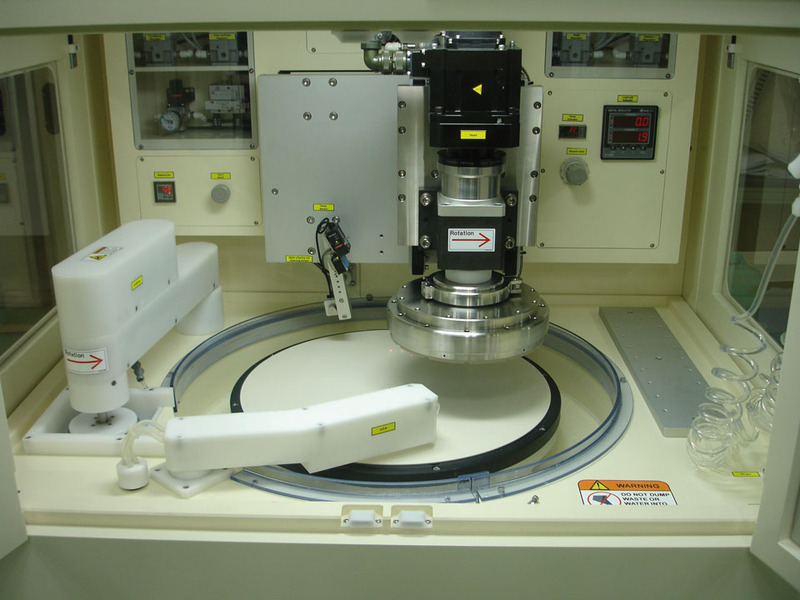 The G&P Technology POLI 500 tool is used for the planarization of dielectric, conducting, and semiconducter thin films on silicon wafers and other substrate materials. This polishing tool is an excellent choice for processing 6” (150mm) and 8” (200mm) wafers. This tool is available in several different configurations depending upon the customer’s need for the carrier type, pad conditioning technology, pad profiling capability, and process measurement and monitoring control systems. 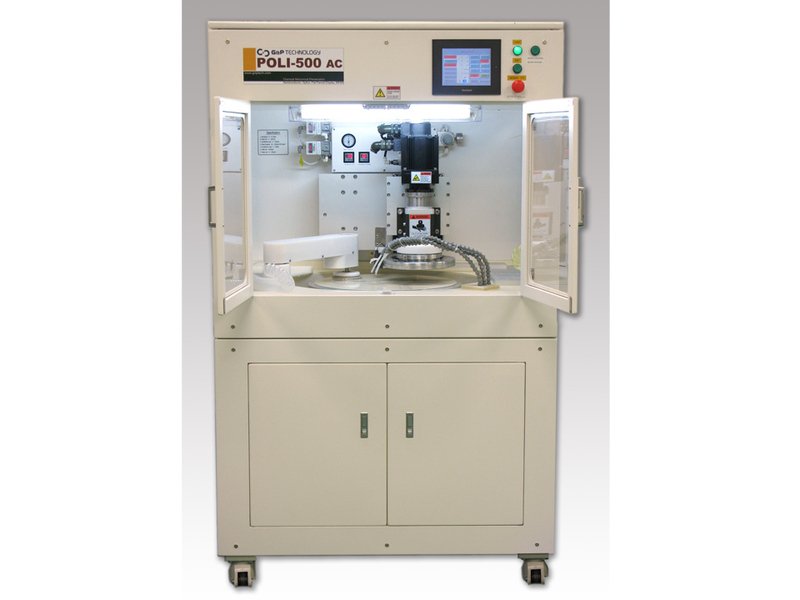 In the tradition of all G & P Technology tools and equipment, the POLI-500 is a versatile and flexible process tool already chosen by R&D laboratories, university research centers, consumables suppliers, substrate manufacturers, and chip developers.